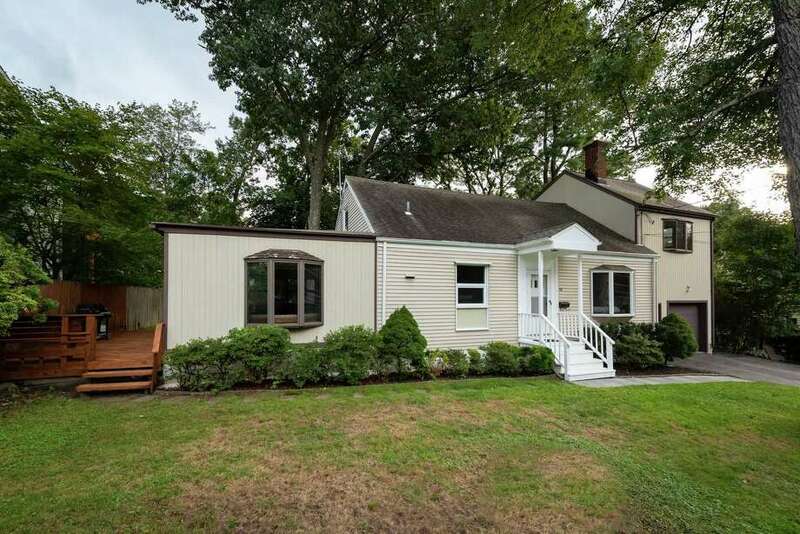 This expanded and updated 67-year-old home in the heart of the Mid-Ridges section of Stamford has an unfinished basement and an attached garage with bonus work shop. The quiet neighborhood has multiple cul-de-sacs that intertwine to allow walking, jogging and biking. The home boasts 10 rooms and has been with the same family for more than 50 years. It has been expanded over the years and now includes vaulted ceilings, skylights and an oversized family room on the main level. Hardwood floors were recently uncovered after being hidden under carpeting for decades. The family room comes with sliders to the deck with built-in seating and the open rear yard. The second-floor studio with skylights and beams could be a sitting room or maybe even a future master bedroom suite. There is also a newer roof and a Well McClain boiler.